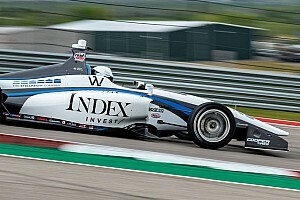 Andretti Steinbrenner Racing’s Colton Herta survived several restarts to lead the second Indy Lights race of the weekend from start to finish as Santiago Urrutia held off a charging Pato O’Ward to claim second. At the drop of the green, polesitter Herta made a perfect start and Belardi’s Urrutia tucked in closely behind him but further down the field, some of the 15-car field attempted to go four wide. 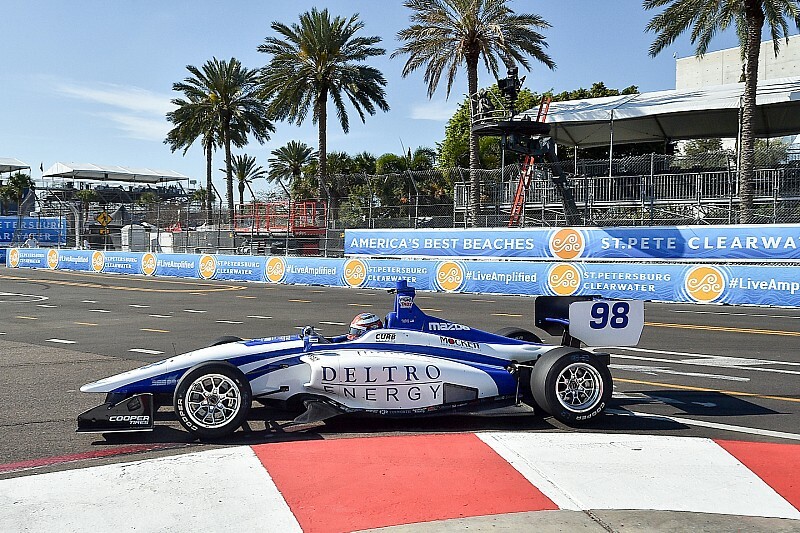 It could only end in tears, and it did, when yesterday’s podium finisher Neil Alberico of Carlin Racing jacked up the rear of Andretti Autosport’s Nico Jamin and sent it pivoting into a wall. Alberico also retired on the spot with terminal left-front suspension damage. 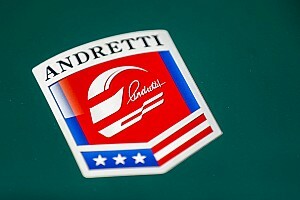 The field then circulated under caution in the order of Herta, Urrutia, Juncos Racing’s Kyle Kaiser, Dalton Kellett in a second Andretti car, followed by the two Team Pelfrey cars of Juan Piedrahita and Pato O’Ward. The restart on Lap 7 was orderly apart from a spin out of the final corner by Piedrahita as he hit the gas. That promoted Carlin’s Matheus Leist into sixth followed by the other two Belardi cars of Shelby Blackstock and Lights Race 1 winner Aaron Telitz. Telitz moved past Blackstock who suffered a major brake lockup on lap 8, while a lap later he also passed Leist for sixth. Just ahead, O’Ward dived down the inside of Kellett at Turn 1 to grab fourth and two laps later, on Lap 11, last year’s Pro Mazda runner-up made a brave wheel-banging outside pass on Kaiser through Turn 1 and Turn 2 to move Pelfrey into a potential podium position. At this point, O’Ward was two seconds down on Urrutia, who in turn was 1.8sec behind leader Herta. By lap 15, those two gaps had reversed as O’Ward started paring away at the Belardi driver’s advantage and set the fastest lap of the race to date. But Urrutia responded in similar style on Laps 19 and 20 to keep O’Ward around one second behind. The gaps became irrelevant when Kellett spun out of fourth at Turn 7 due to a right-rear puncture, smashing off his front wing and bringing out the full-course caution, although he was able to make it back to the pits without aid. On the restart, Herta held on well, while Urrutia had to hold off a brave outside challenge through Turn 1 from O’Ward. 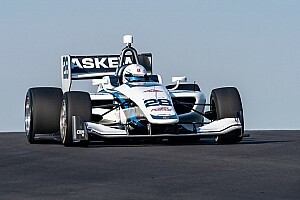 The Pelfrey driver lost enough momentum that two corners later, Kaiser went past and demoted him to fourth. However, the yellows flew again a lap later as Garth Rickards got light over the Turn 3 curb and smacked his Carlin car hard into the outside wall. The next restart came on Lap 32, but the drivers controlled their wilder ambitions so that Herta led Urrutia, Kaiser, O’Ward, Telitz and Leist. However, on the next lap, O’Ward completed another brave move down the inside to regain third from Kaiser, and next time by he attempted an outside pass on Urrutia, who was having none of it and elbowed him back. Not far behind, Blackstock moved past Leist to grab sixth. On Lap 39, Herta set fastest lap – 67.447sec – to pull a 1.7sec lead over Urrutia who was now out of reach of O’Ward’s push-to-pass boost which activates only when within a second of the car in front. Herta nailed another fastest lap on lap 41, a 67.242, and eventually came home 1.8sec clear of Urrutia, who was 2.2sec clear of O’Ward. Kaiser was fourth, roughly equidistant between O’Ward and Telitz’s fifth-placed car. Blackstock held off Zachary Claman De Melo of Carlin to take sixth, with Juncos Racing’s Nicolas Dapero in eighth.